I get a kick out of Robot Chicken's spoofs using toys. Especially, toys from Mego's World's Greatest Super Heroes action figure line. 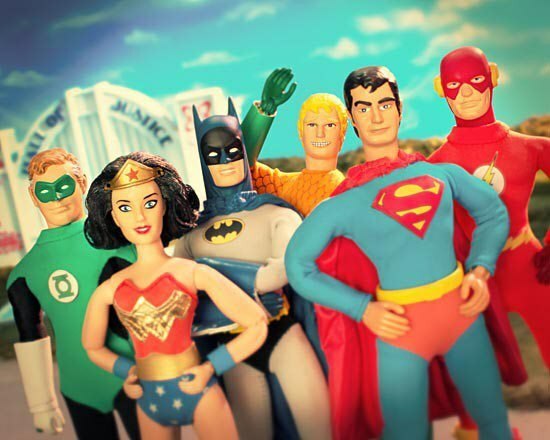 It looks like the Robot Chicken gang are at it again with a special DC Comics edition. Based on the trailer I think it will be hoot and not only are they using Mego figures, but Mattel's Retro Action DC Super Heroes action figures as well. My dream job is one like Toy Hunter, Jordan Hembrough's, but playing with toys and coming up with crazy scenarios wouldn't be a bad second job. The Robot Chicken DC Comics Special airs September 9, 2012. Ha! This looks too funny. Yes, I think it should be a good for a few laughs.